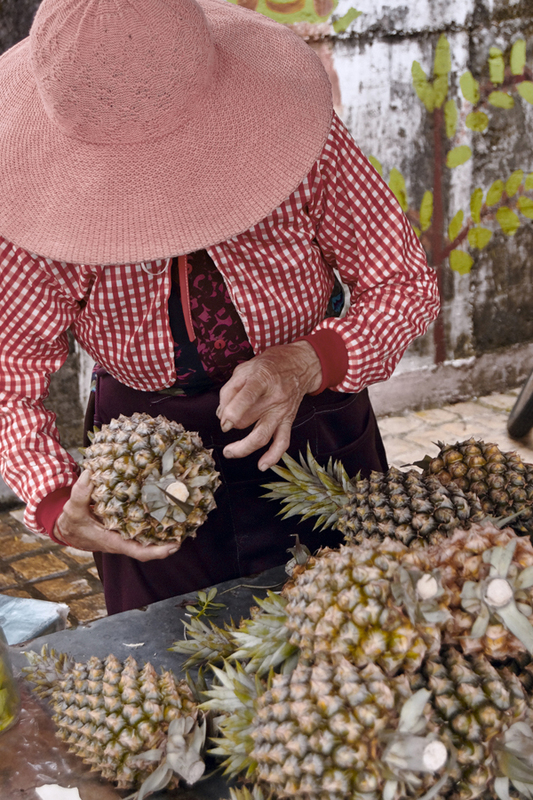 Pineapple seller in Gukeng, South Taiwan flicks the produce on offer to check for ripeness. It is interesting that what is fascinating to an outsider, like me, seems so mundane to people who see it everyday. For example, this pineapple vendor with checked red top and wonderful hat, whose chapped hands are indicative of a hard life. It is unlikely she’s been photographed much before and she was baffled and bemused by my interest in her. I found this scene interesting in a textural sense – that hat, her top and the pineapples all contrasted one another but the balance of each was just right.